Looking to prepare a sweet rice based dish? 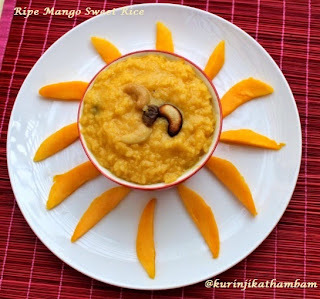 You should definitely try this ripe mango sweet rice. Few recipes I have prepared are as mouthwatering as this. All members of my family really relished this rice. 1. Wash and the soak the rice with 2 cups of water for ½ an hour. 2. Pressure cook the rice for 3-4 whistles in medium flame. Switch off the flame and allow it to cool down. 3. Cut the mango into two halves and scoop out the pulp. Using the mixer grinder, grind the mango scoops into a fine paste. 4. Now mix the sugar with milk till the sugar dissolves completely. 5. 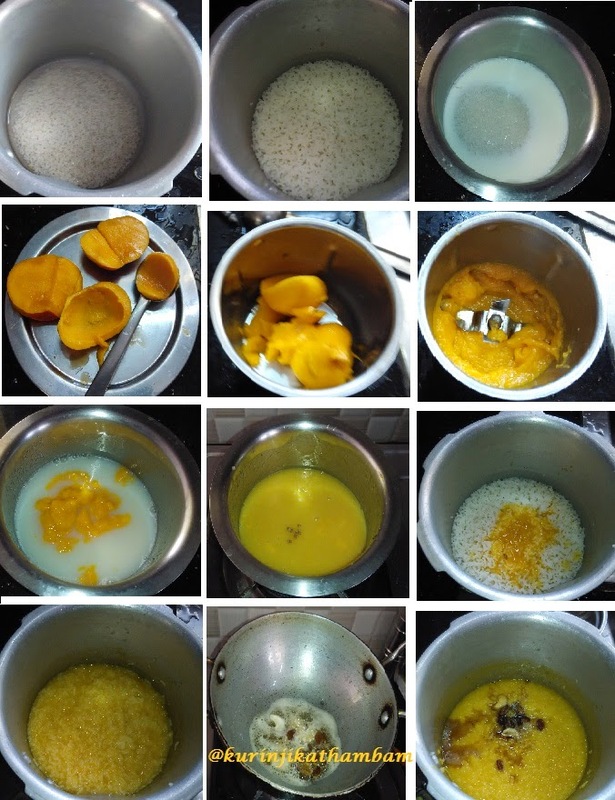 Then add the mango puree with the milk and mix them well. Then add the cardamom and heat the mixture for 2-3 mins. 6. Now mix this mixture with the cooked rice and mix them well. 7. Meanwhile, heat the ghee in a pan, fry cashews and dry grapes. 8. Mix these nuts with the mango rice and serve it hot or chill. 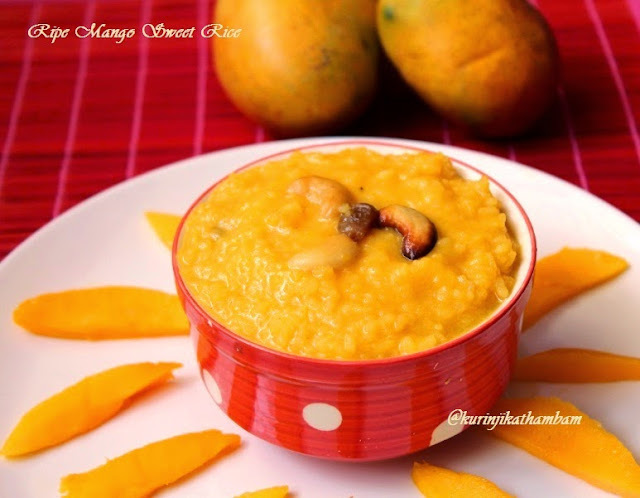 Yummy and mouthwatering mango rice is ready to serve. You can use any variety of Mango which is sweet and pulpy.